Course of the Week Highlight: Celebrate Safety Week with These Courses! No matter what profession you have chosen, there are most likely some work-related risks associated with it. Although some of these risks might be specific to your job, there are many precautions that should be taken to avoid common risks that are applicable to any workforce. No matter what your profession is, being prepared in case of emergency is essential to ensure the safety of yourself and others. These three courses outline some general safety practices, explain safety regulations, and help you understand how to work through difficult situations. Working with natural gas brings along with it numerous safety issues. Primarily through the use of audio narration and inline quizzes, you will encounter the methods in which natural gas is handled and delivered to consumers and become familiar with the people who are in charge of system management. You will also be exposed to the various operational rules that direct flow and distribution of natural gas, and by the end of this 35-minute-long course you will understand the extreme importance of rapid response in the face of an emergency in order keep yourself and others safe. Having a grasp on general safety is key in any work environment. Through the use of games, inline quizzes, and simulations, this one-hour long course will not only give you advice on what clothing to wear in order to maintain your own personal safety, but will also enable you to identify dangerous conditions you may encounter in the field. By the end of this course you will have gained a better understanding of the Occupational Health and Safety Administration (OHSA) and their safety regulations. Intended for—but not limited to—medical professionals, this 20 minute course clearly defines and walks through how to avoid medical abuse, neglect, and exploitation with the use of audio narration, inline quizzes, simulations, and videos. By the end of this course you will be able to keep both employees and patients safe by recognizing the signs and typical characteristics associated with both the assailant and the victim in these three situations. You will also know how and when to report suspected abuse, neglect, and exploitation in the medical field. 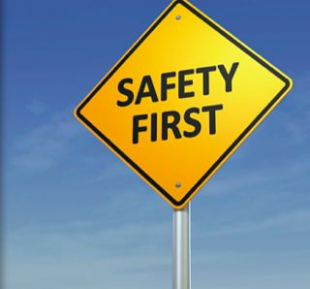 Being able to identify and handle dangerous situations is key in maintaining a safe and productive work environment. This week’s course of the week offerings will give you the resources you need in order to do just that.